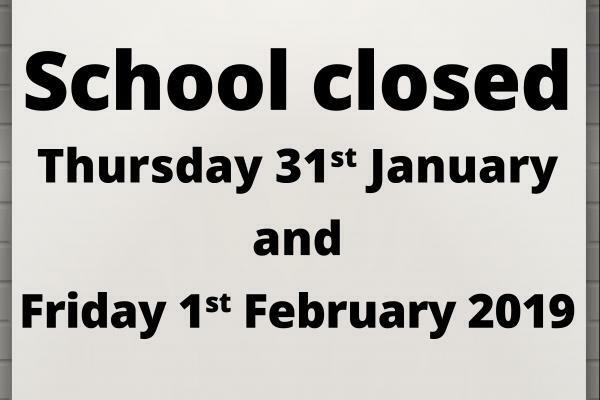 Following government directions the school will be closed on Thursday 31st January and Friday 1st February 2019. At the moment we anticipate operating as normal on Monday. We will, of course, update you with more news as we receive it.